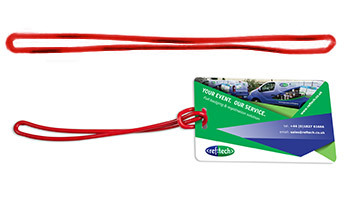 We keep in stock a range of standard lanyards in a variety of colours. 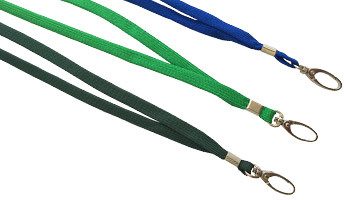 All of our standard lanyards are suitable for use with either a hole or slot and come with a safety break. 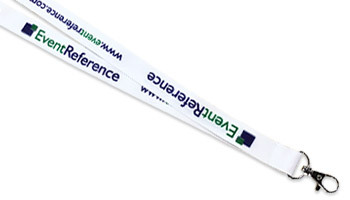 We can source and supply branded lanyards for your event, please contact us for more information. 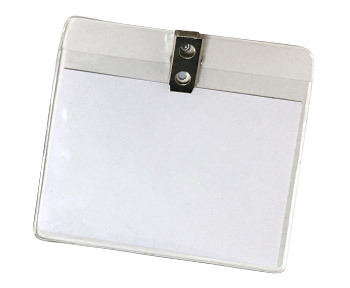 Strap clips are ideal for badges or holders that have a slot. 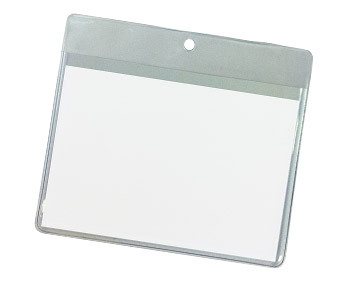 Metal stick-on clips are ideal for any badge that doesn't have a hole or slot. 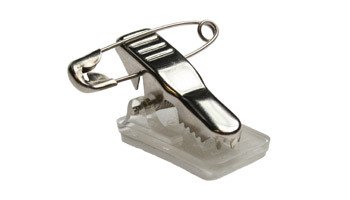 They have a small safety pin / metal clip attachment. Magnetic clips are ideal for badges without holes or slots. They are easy to attach and discreet. Not suitable for pregnant women or people with pacemakers. 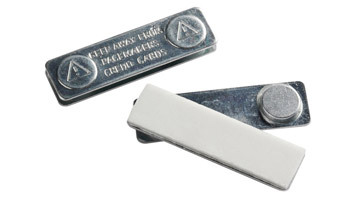 Plastic swivel clips are designed to be used with our plastic credit card badges. They attach with ease and the badge always hangs straight. 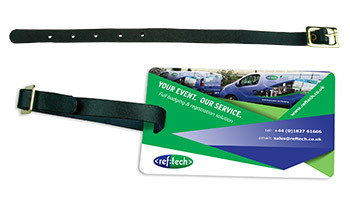 Leather straps are ideal for use when providing luggage tags with slots. 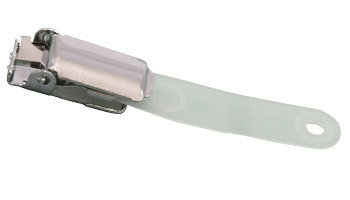 Plastic straps can be used with either a hole or a slot on luggage tags. A7 badge holders suitable for use with either A7 paper badges or our peel and stick badges. 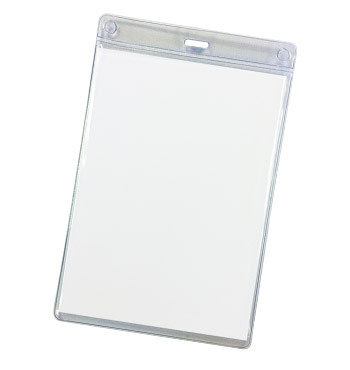 A6 badge holders are suitable for use with an A6 badge stock. 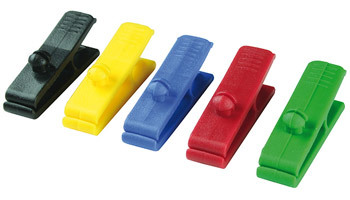 Holders with croc clips are suitable for A7 paper badges or our peel and stick badges. All of the above (with the exception of branded goods) are stock items, please speak to your account / project manager for further details.